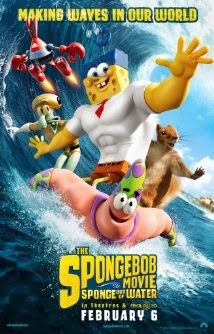 Showing this weekend at the Kingman Historic Theatre is The Spongebob movie. On Fri(Feb 20) at 7:30P.M. On Sat (Feb 21) at 7:30P.M. and Sun (Feb 22) at 5:00! This movie is rated PG and stars Tom Kenny, Antonio Banderas and Bill Fagerbakke!